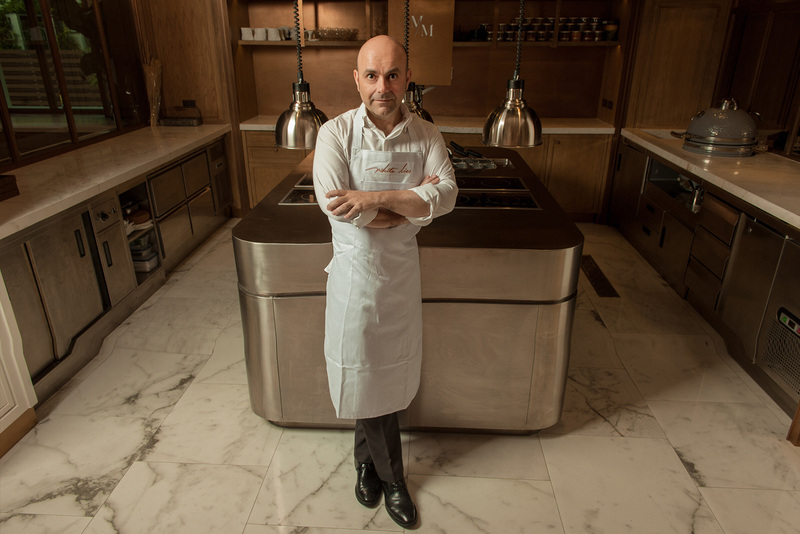 An Italian chef in Bangkok offering ‘Italian Omakase’ – a marriage of classic Italian cooking with the Japanese concept of a multi-course, no-choice chef’s menu – may sound like something of a cultural smorgasbord, but for Maurizio it makes perfect sense. Having lived in Thailand since 2003, working for several five-star hotel chains (including Dusit, Starwood and Ritz Carlton) he was, until recently, Head Chef at independent boutique hotel The Sukhothai Bangkok, designed by a Japanese architect, which boasts one of the city’s most prestigious Italian restaurants, La Scala. It was during this time that Maurizio became fascinated by ‘Omakase’ (literally ‘I’ll leave it up to you’), where diners are ‘in the head of the chef’, surrendering to his creativity. Maurizio’s latest project is “White Lies”, a joint venture with Areeya Property, a leading developer and real estate group in Thailand. With just 24 covers, the restaurant’s concept is one of intimacy, luxury and an unforgettable dining experience that would be difficult to create at home: new Italian with an element of theatre. “The food comes in one or two bites, from amuse-bouche to fruit, all seasonal and changing almost daily to reflect what ingredients are at their best. It’s like the old-style osteria in Italy, where the host would prepare the meal of the day and serve it to the guests – but in a more refined way. Even though Maurizio is 9000 miles from Italy, his inspiration comes from books, travelling, spending time in natural surroundings and sharing ideas with other chefs. Chef Maurizio, with his very refined cuisine, light, bright and interesting, yet still classic – will indulge your senses whiteout moving too far from his roots.